Despite a case of Morton’s Neuroma, Breast Cancer Now leader Lynn Parfey participated in her first ever run at the recent Great North Run as a commitment to the dying words of her friend Shirley Garman. Parfey endured the excruciating pain in her feet to take on the 13.1 mile challenge in Garman’s memory. “I’m not brave,” shared Parfey. “The people that go through any form of cancer are the brave ones…. I’m not getting any younger and I just want to do something different to do what I can.” Parfey has been involved with the charity since 2008. 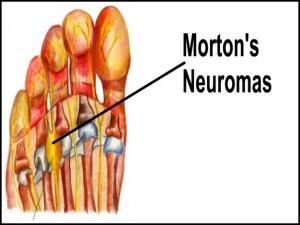 Morton’s neuroma can be a difficult condition to contend with. If you are experiencing symptoms of Morton’s Neuroma, speak to one of our podiatrists from Foot HealthCare Associates. Our doctors will can diagnose and treat your feet accordingly.